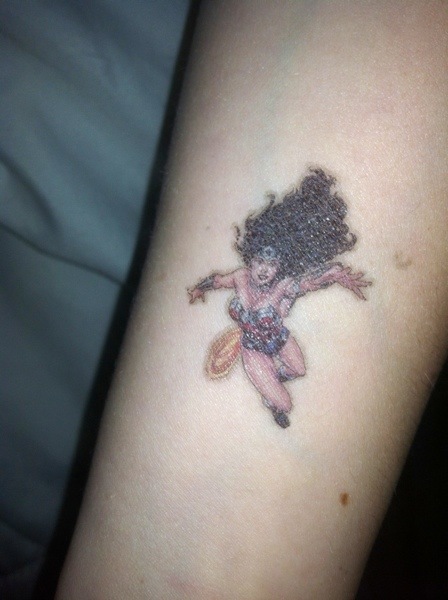 Last Sunday, Wolverine, my nephew, and I decided to get tattoos, and I ended up with Wonder Woman on my arm. I’ve had this awesome tattoo for about 9 days now and it has barely faded. I remember when I was a kid, temporary tattoos would rub off in a day. Who knows how long this will stay on for. This entry was posted in Family, Wolverine.